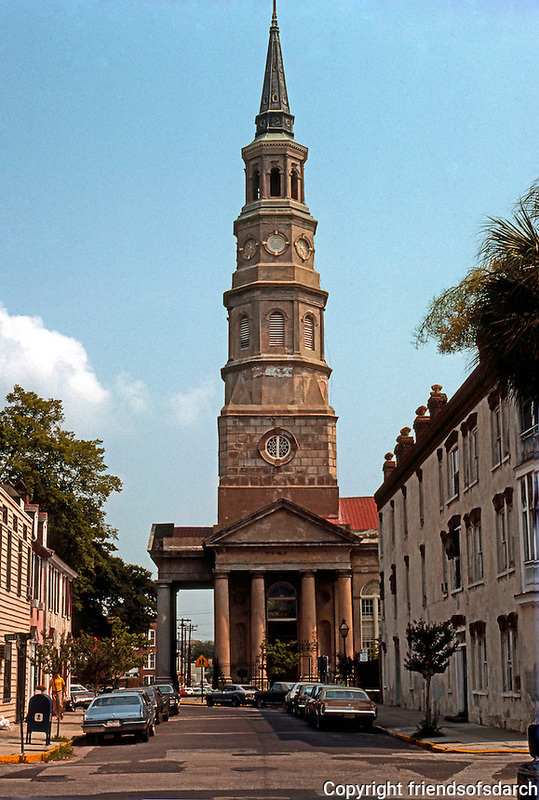 Charleston: St. Philip's. Historic Episcopal Church in French Quarter, 1836. Tower designed in Wren-Gibbs tradition. 3 Tuscan pedimented corners. NRH in 1978. Phot0 '76.